Welcome to the Sydney Live Steam Locomotive Society! 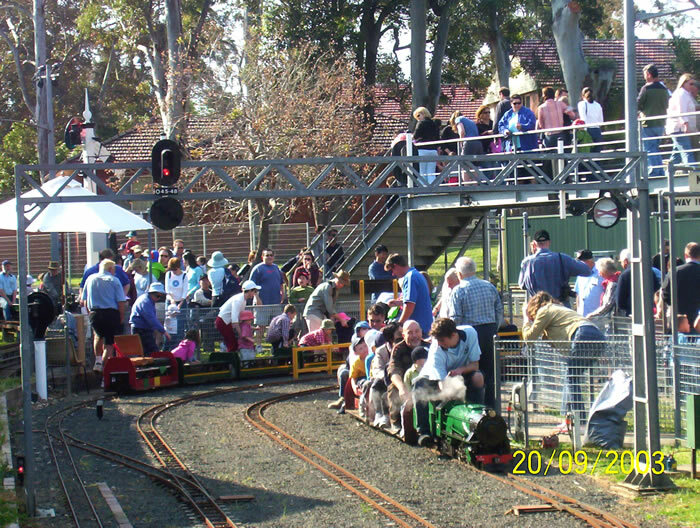 The Sydney Live Steam Locomotive Society was formed in 1948 on its present site. We are located on the corner of Anthony Rd and Betts St behind West Ryde shopping centre in Sydney, New South Wales, Australia and open on the THIRD Saturday afternoon of each month from 1.30pm to around 4.30pm. 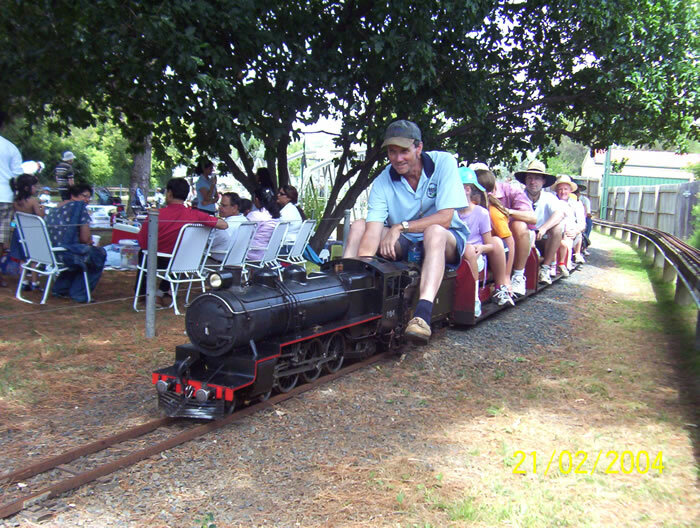 We have three miniature railways on which we offer rides on trains hauled by miniature steam locomotives. The park grounds are a popular location for children's birthday parties or small group afternoon gatherings. For the enthusiast it is a good spot to just lie back and watch those steam trains work hard pulling heavily loaded passenger trains! We have a kiosk which sells drinks, ice cream, cakes, chips, etc. Entry is $4 for adults and $2 for children. Rides are $2 each for all ages. Please note we do NOT have eftpos facilities - its cash only! A recorded telephone message with the above information is provided on (02) 9874 8696. We may have an exemption to run on days of Total Fire Ban . We require train passengers to wear fully enclosed footwear. Please don't be disappointed! Appropriate footwear reduces the risk of injury! Please be aware that crowd numbers can vary and it is possible that the wait for train rides could be up to 30 minutes. How Steam Engines Work & More! © 2018 Sydney Live Steam Locomotive Society Co-op Ltd.